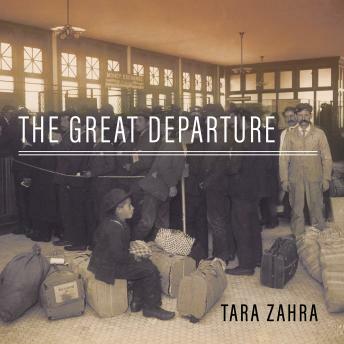 In this riveting book, Tara Zahra takes the story of immigration that Americans know so well and weaves it into a larger story of emigration that we have long neglected. In this riveting book, Tara Zahra takes the story of immigration that Americans know so well and weaves it into a larger story of emigration that we have long neglected. With all the drama of a novel and all the nuance of history writing at its best, The Great Departure is a must-read. (Alison Johnson, Harvard University) In this spare, deeply researched, and unfailingly analytical book, Tara Zahra frees the great migration of Eastern Europeans to the West from romantic myth and dissects all its human and moral complexities. (Robert D. Kaplan, of In Europe's Shadow: A Journey Through Two Cold Wars in Romania and Beyond) With a combination of deft historical analysis, sparkling prose, and careful attention to individual stories, both poignant and instructive, Tara Zahra systematically deconstructs the myths surrounding emigration, escape, and deportation from Eastern Europe since the late nineteenth century. The Great Departure is brimming with important and suggestive lessons from the past for thinking about the worldwide dynamics of emigrants and refugees in our own day. (Norman M. Naimark, Stanford University) Meticulously researched, The Great Departure shows mass emigration from all sides, including individual stories of poverty and maltreatment-but also positive changes emigration brought to women . . . This book is equally relevant for Americans, showing why and how many of their ancestors left their countries, and for Europeans, confronted with an unprecedented wave of immigrants today. (Slavenka Drakulic, author of A Guided Tour through the Museum of Communism) About the Author Tara Zahra is a professor of Eastern European history at the University of Chicago and the author of two award-winning books, Kidnapped Souls and The Lost Children.